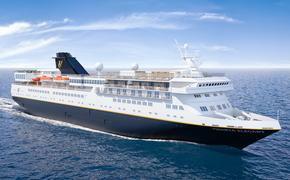 Holland America Line is offering five 14-day “Asia Explorer” voyages on the Zaandam early next year. In addition, the ship will offer one 14-day China and Korea voyage round-trip from Hong Kong that will call at Incheon (Seoul) and Jeju (Cheju) City, South Korea. The four itineraries offered on seven departures range from 14 to 28 days. The five “Asia Explorer” voyages sail between Hong Kong and Singapore and call at Koh Samui and Bangkok, Thailand; Sihanoukville, Cambodia; and Phu My and Nha Trang, Vietnam. Departure dates are Jan. 8, Jan. 22, Feb. 5, March 4 and March 18. The 14-day China and Korea voyage departs Feb. 19 and includes two full days at both Shanghai and Xingang (Beijing). Shore excursions include the “Maglev Train Ride & New Shanghai” and the “Summer Palace & the Great Wall of China.” The ports of Incheon (Seoul) and Jeju (Cheju) City will be maiden visits for Zaandam. Zaandam’s 28-day “Asia Explorer Collectors’ Voyage” from Singapore to Hong Kong departs Feb. 5 and combines back-to-back itineraries. It includes overnight calls at Laem Chabang (Bangkok), Thailand, and Shanghai and Xingang (Beijing), China. The 22-day “Japan and Alaska” voyage departs April 15 from Kobe (Osaka), and features port calls at Jeju and Busan (Pusan), South Korea, and Petropavlovsk (Kamchatka), Russia before crossing over the Northern Pacific Ocean to Vancouver, with stops at Kodiak, Sitka and Glacier Bay National Park in Alaska. Cruise fares begin at $1,599 per person, double occupancy for the 14-day sailings, $2,099 for the 22-day Japan and Alaska sailing, and $3,399 for the 28-day “Asia Explorer Collectors’ Voyage” sailing. For more information, call 877-SAIL-HAL or visit www.hollandamerica.com.